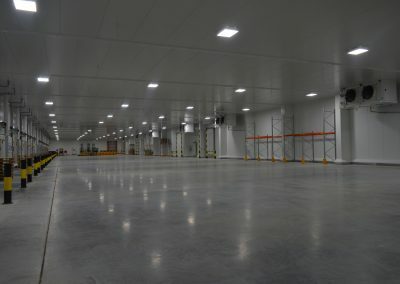 EJM was proud to be involved with a major client from the very conception to completion of a new Low-Temperature Distribution Facility. 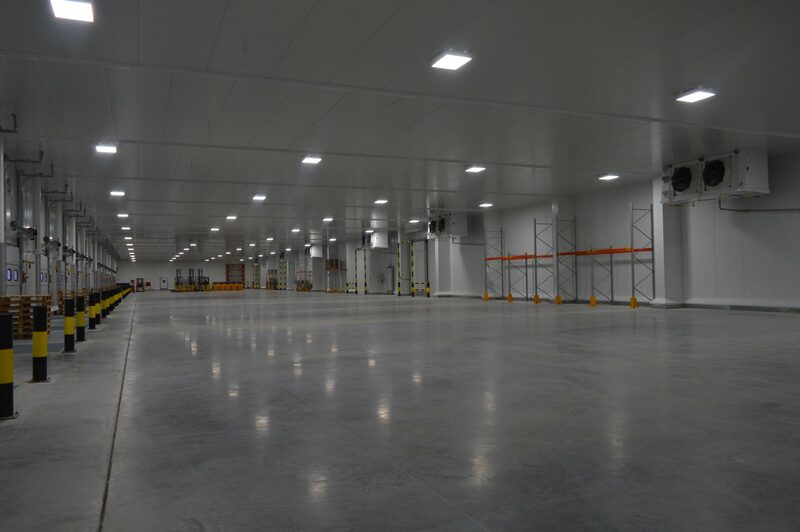 The design to be implemented was a 900kW for Cold store operation maintaining -22degC storage temperature and 450kW at +2degC for the Loading Dock. 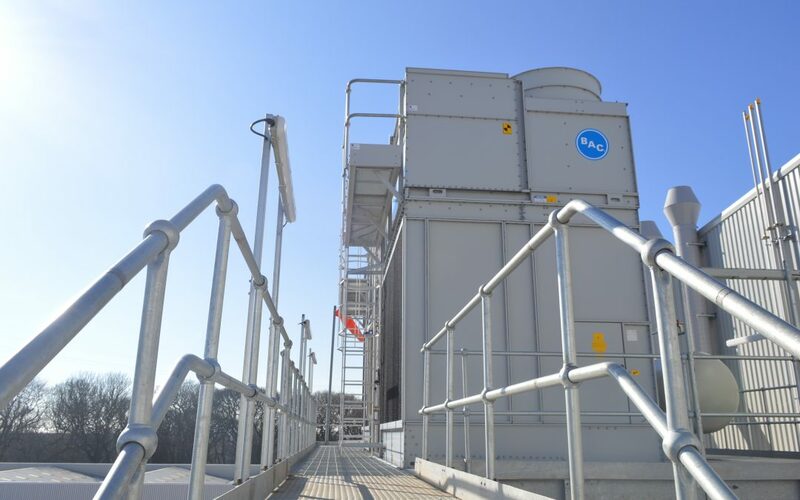 The project was 7 years in the making and several sites were viewed for suitability to ensure the plant met the brief objective of being future proof. Once a new green field was identified as appropriate, the initial concept designs were then finalised and the space evolved into the build it is today. In identifying the site to be used for the build, the layout factor needed thorough consideration. The project plan was required to ensure the pallet spaces were achieved. 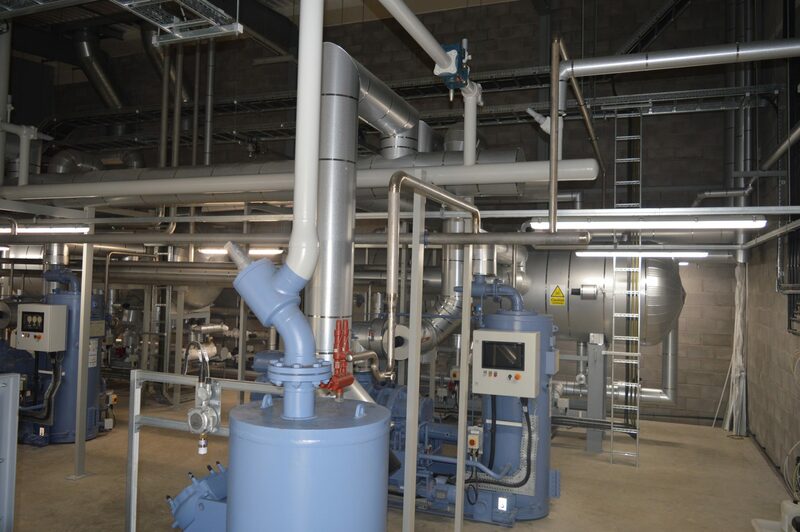 The build also needed a layout that offered safe servicing, including the future, of the Ammonia Refrigeration Plant. Future expansion consideration was forwarded, in the design and selection of all equipment to ensure maximum growth. 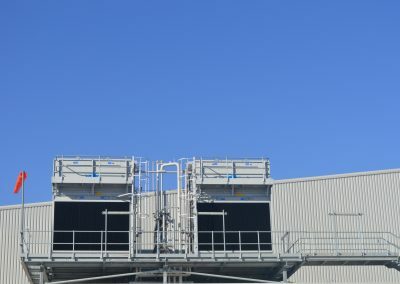 SMARS consideration for the addition of new coolers by the use of double block and bleed isolation. A standby capability of all components to allow no disruption to the operation if one component failed. This included the evaporative condensers and oil cooling circuit. 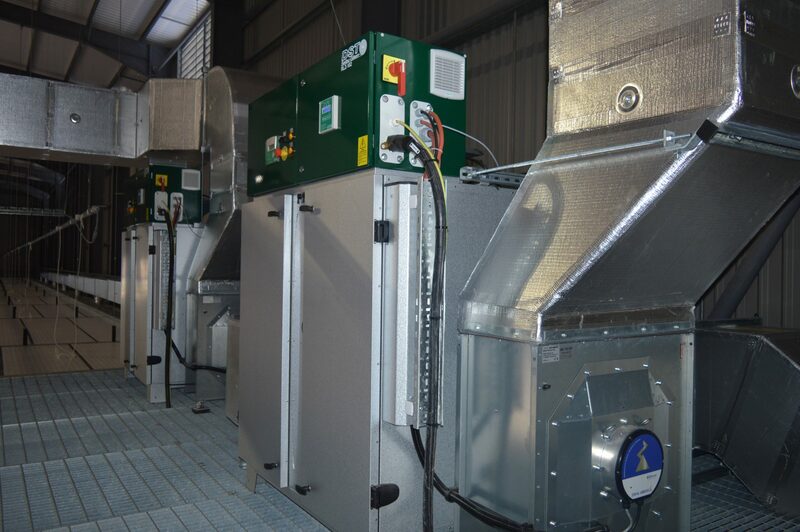 All Air Coolers installed to the facility were selected on an 8mm fin spacing to extend the time between defrosts. 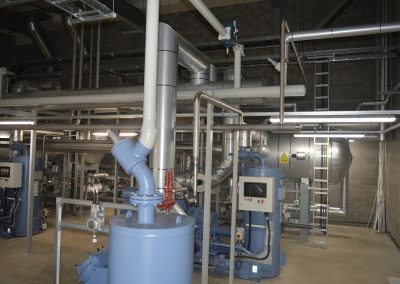 Logstor Pre-Insulated Pipework was used throughout offering a 5-year guarantee. This is of robust quality with damage caused by foot traffic eradicated. 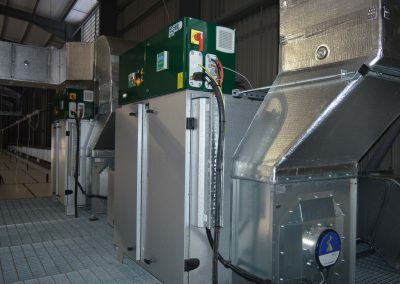 Dehumidification systems were installed to the Loading Dock to minimise the influx of moisture into the cold store reducing frost issues and Health & Safety risks. 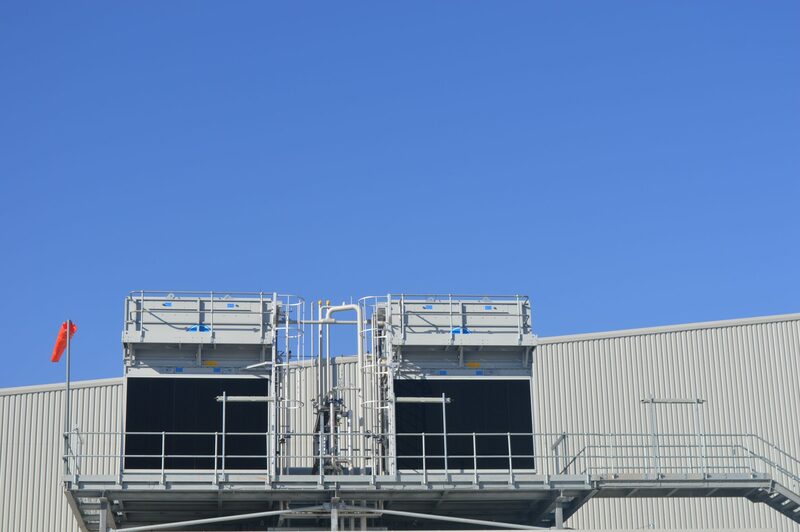 Accessible ammonia valve stations to all coolers. All possible motors were fitted with inverters with cooler fans cycled during operation. 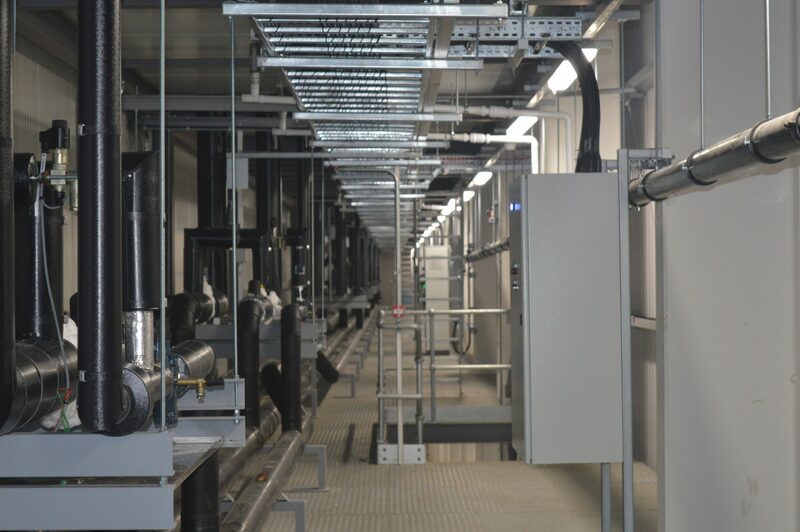 EJM was also fully responsible in the installation and commissioning of the VRF system to the offices, offering both heating and cooling. The results in both the execution and operation system have been excellent to date. Defrosting to the Loading Dock coolers is currently set on valve open time and a maximum of two defrosts per day (if required). This will be continually monitored with any further reductions implemented. The cold store coolers are only allowed to defrost once a day. 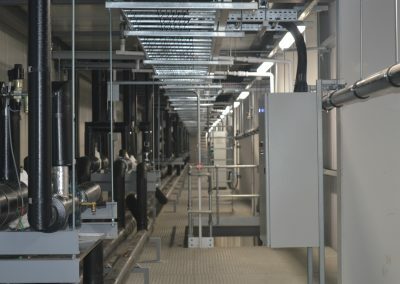 The facility is one of the most modern operations available, with robust engineering enhancements and consideration taken to current legislation along with future expansion plans. 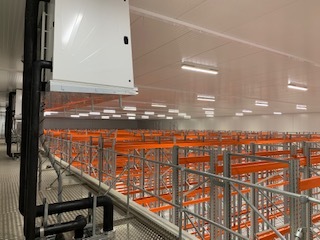 The plant handover was 3 weeks early and the site is now active with inbound and outgoing deliveries increasing by the hour.